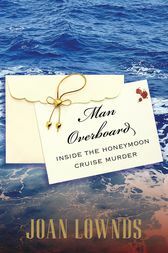 Man Overboard tells the inside story of one of America's most notorious murder cases in decades, providing unprecedented insight into the death of Greenwich native George Allen Smith IV on his honeymoon. He married Jennifer Hagel in June 2005. Both of them were young and beautiful. He came from an old-line Greenwich family; she, from blue-collar Cromwell and with a reputation for being a flirt. Just eight days after their wedding, their new life together disintegrated on their Royal Caribbean honeymoon cruise. The morning after several booze-fueled melees, a gruesome blood stain traced the awning below their cabin, and George had vanished. After four years of bitter legal wrangling with both families, Royal Caribbean recently handed over its files to the FBI, which announced that Smith's murder is “very active and open.” Man Overboard provides an extraordinary look into a case that has captured the public imagination and raised provocative questions about the unregulated cruise industry, leading directly to the historic Cruise Vessel Security and Safety Act signed by President Obama. Joan Lownds, an award-winning reporter for the Greenwich Post and other Connecticut newspapers and magazines, has covered the honeymoon cruise murder since it broke.